Asthma is a severe lung disease that makes breathing significantly difficult. Sufferers may experience attacks of wheezing, coughing, shortness of breath, and chest tightness. Asthma medications can help control symptoms during an asthma attack; however, these drugs can also make your symptoms worse over the long term. Instead, you can use essential oils for asthma as part of a natural treatment plan. Many essential oils contain expectorant (mucus-clearing), antispasmodic, anti-congestive, and anti-inflammatory properties. Essential oils have been used for breathing difficulties for centuries, and research is now supporting this use as well. Asthma affects over 26 million people in the U.S., according to the American Lung Association. It is often triggered by exposure to seasonal allergies, food allergies, and irritants like dust, pollen, and mold. Other factors may include aspirin allergies, intense exercise, smoking, and infections such as the common cold, flu, and other respiratory infections. Essential oils are effective for both allergy and asthma symptoms, which often overlap. Coughing, wheezing, and other signs of difficulty breathing are all common. What essential oils are good for asthma? Scientific and anecdotal evidence suggest the best essential oils for asthma include eucalyptus, peppermint, thyme, lavender, and ginger oils, among others. Read on to discover 12 of the most effective essential oils for asthma relief. Eucalyptus oil, which is made from the Eucalyptus globulus plant, is a good essential oil for asthma. It is often used for respiratory conditions, such as the common cold, bronchitis, and asthma. Eucalyptus essential oil contains compounds with anti-inflammatory, expectorant, and analgesic effects, such as eucalyptol and citronellal. As a result, eucalyptus essential oil can help break up excess mucus in the respiratory tract, and this soothes inflammation in the throat and makes it easier to breathe. Research shows that inhaling eucalyptus essential oil helps improve airflow in the nose. A 2014 review also explained that eucalyptol can reduce spasms in the respiratory tract, while also thinning out mucus to make it less problematic. Eucalyptol is also known to have benefits in inflammatory airway diseases such as asthma. The essential oil of ginger (Zingiber officinale) is another common remedy for asthma, as well as bronchitis, colds, and coughs. Research shows that ginger extract can make it easier to breathe by inhibiting airway contractions. A study published in the American Journal of Respiratory Cell and Molecular Biology in 2013 found that ginger and its active components like gingerol and shogaol had caused a rapid and significant relaxation of isolated human airway smooth muscle. It was concluded that ginger’s active components may provide a therapeutic effect in those with respiratory diseases like asthma. Peppermint oil is an essential oil that is made from the Mentha piperita plant. Allergens often trigger asthma, and this can lead to the release of the compound histamine. However, the methanol in peppermint oil can help stop the release of histamine in the body and therefore open up the bronchial passages and relieve asthma symptoms. One 1998 study suggests that the L-menthol in peppermint oil has anti-inflammatory properties that can benefit those with bronchial asthma. Another study from 2010 demonstrated the antispasmodic properties of peppermint oil, which help it to treat asthma symptoms such as coughing and wheezing. The antiseptic, expectorant, antibacterial, and relaxant properties in thyme (Thymus vulgaris) essential oil help cleanse the lungs and relax the airways, which can be useful for those with asthma and bronchitis. Thyme essential oil is known to fight all sorts of bacteria that can affect the respiratory tract. Research published in the journal Medicinal Chemistry in 2011 has even found that thyme essential oil can fight antibiotic-resistant bacteria. Lavender essential oil is made from the Lavandula angustifolia plant. The anti-inflammatory, gas-relieving, relaxant, and sedative properties in lavender oil make it an effective treatment for asthma. Lavender oil is able to soothe muscle contractions, reduce swelling in the respiratory tract, and prevent bronchospasms that lead to wheezing. A study published in the journal Life Sciences in 2014 found that inhaling lavender oil can reduce inflammation due to asthma and allergies and lower mucus production. The research team concluded that lavender essential oil can be included in a natural treatment for bronchial asthma. Chamomile essential oil is often made from Roman chamomile (Chamaemelum nobile) and German chamomile (Chamomilla recutita). Roman chamomile contains anti-inflammatory, expectorant, and anti-spasm properties that can help reduce asthma attacks. It can also relax the bronchus part of the lungs and alleviate coughing overall. German chamomile, on the other hand, has anti-histamine properties that can also reduce inflammation in the body. 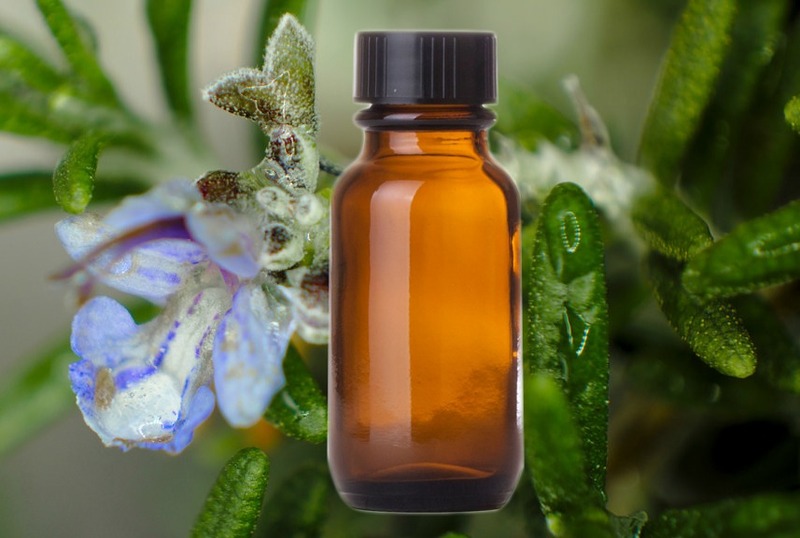 Other essential oils for asthma include tea tree oil, which is made from the Melaleuca alternifolia tree. The anti-inflammatory and expectorant properties help decrease the body’s allergic response, and therefore prevent an asthma attack by improving breathing. Oregano (Origanum vulgare) oil is also beneficial for treating asthma. The antiviral, antibacterial, and immune-boosting properties of oregano oil can help prevent asthma attacks by increasing respiratory tract activity. Studies also show that oregano oil benefits those with recurrent respiratory disorders, such as asthma. Cypress essential oil is made from the cypress tree (Cupressus sempervirens), which is an evergreen tree. The oil is able to clear congestion and eliminate phlegm buildup in the lungs and respiratory tract. The antispasmodic properties in cypress oil can treat serious respiratory problems like bronchitis and asthma. At the same time, the antibacterial properties in cypress essential oil can help kill bacteria that cause bronchitis—a condition that can worsen asthma. Another effective essential oil for asthma is clove oil. Clove (Syzygium aromaticum) essential oil contains anti-spasmodic, anti-inflammatory, and immune-boosting properties that can help you breathe and relieve asthma symptoms such as chest pain, wheezing, and difficulty breathing. Frankincense (Boswellia sacra) oil is another important essential oil for asthma. The antiseptic and anti-inflammatory properties of frankincense oil can lower inflammation in the airways and prevent allergic reactions. 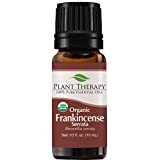 Frankincense essential oil will relieve chest tightness, break down mucus, and promote healthy breathing, even while you’re having an asthma attack. 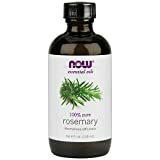 Rosemary (Rosmarinus officinalis) is another good essential oil for relaxing the smooth muscles of the trachea, which improves your overall breathing and treats asthma symptoms such as wheezing, chest pain, and sputum production. One study published in the Avicenna Journal of Phytomedicine in 2018 found that rosemary is able to reduce asthma symptoms in those who hadn’t seen improvement from conventional asthma treatment. People often respond differently to certain essential oils. It is best to consult your doctor before trying essential oils for asthma if you are taking any medication and are being treated for asthma, in particular. Essential oils are also not recommended for asthmatics who are sensitive to smells. Since strong smells can trigger an asthma attack, you will want to dilute essential oils properly and only use them in small amounts. Always dilute essential oils in carrier oils, such as almond oil, jojoba oil, or avocado oil. You may also be allergic to an essential oil, which in turn can trigger an asthma attack as well. That is why it is a good idea to test a few drops of the essential oil on the skin before using the oil on larger areas of the body. Essential oils should relieve your asthma symptoms. If they worsen them, discontinue the use of essential oils immediately. Seek medical attention right away if you believe your asthma attacks are due to the essential oils. Since asthma attacks can be fatal, using caution and heading to the doctor is always the right move. If you’re experiencing a severe asthma attack, symptoms will include blue lips, sweating, a pale face, the inability to exhale, and a very rapid heartbeat. Essential oils are a great option for asthma symptoms, such as coughing, wheezing, chest tightness, and shortness of breath. This is because essential oils contain anti-inflammatory, anti-congestive, expectorant, and antispasmodic properties that can help relieve your symptoms. In this article, we mentioned a number of essential oils for asthma, including rosemary oil, frankincense oil, clove oil, cypress oil, oregano oil, tea tree oil, chamomile oil, lavender oil, peppermint oil, eucalyptus oil, ginger oil, and thyme oil. How do you use essential oils for asthma? You can inhale essential oils with a diffuser, steam bath, Epsom salt bath, or right from the bottle. 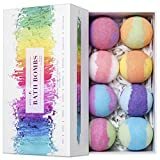 Essential oils can also be absorbed through skin, but some people may sensitive to certain oils and should dilute them and test on a small patch of skin before long-term use on a larger area of skin. It is also a good idea to consult your doctor before taking essential oils for asthma, especially if you are being treated for asthma or taking any kind of medication. Disclaimer: Article does not treat, diagnose or offer any medical advice. For informational purposes only. Results not guaranteed. 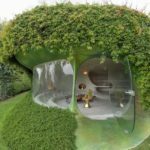 This article appeared first at Doctor’s Health Press and appears on Natural Blaze with permission.